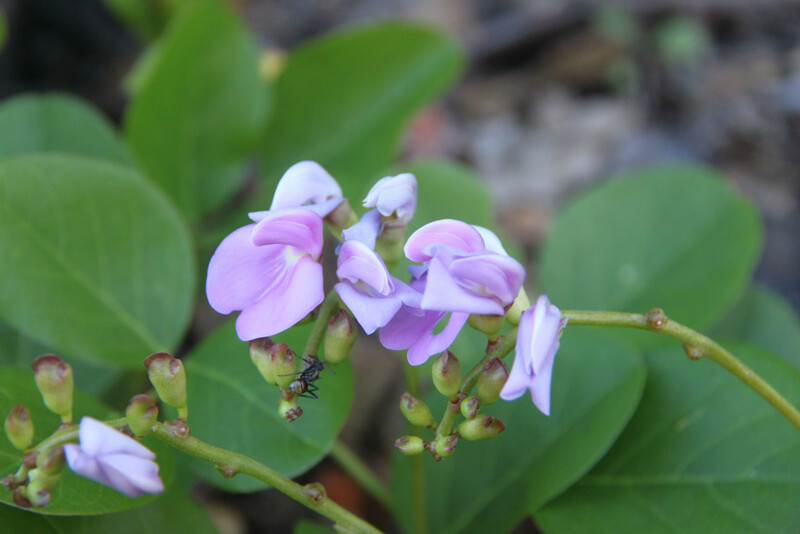 A large trailing or climbing vine found on sandy soils, Coastal Jack Bean has a pretty pink-purple pea-like flower followed by large, flattened seed pods. It has a distinctive compound leaf composed of three leaflets which makes it a particularly attractive addition to the garden. The main flowering period is between May and September, with sporadic blooms all year. Tolerant of salt spray, heat, and low nutrient soil, it can cover large areas in a relatively continuous mat. Coastal Jack Bean is widely distributed across the top of Australia from WA to the Eastern seaboard as far as N.E. 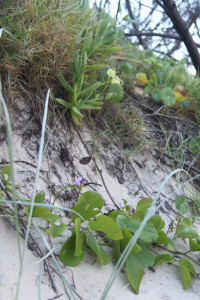 NSW, and normally grows just above the tide level. Being an important sand stabiliser, Bushcare Groups plant it to revegetate degraded frontal dune areas. 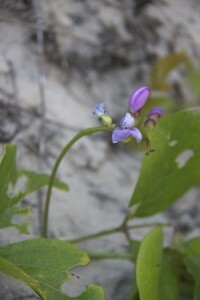 Coastal Jack Bean creates a denser ground cover than some native twining plants but it can die back in the dry season only to flourish again when it rains. 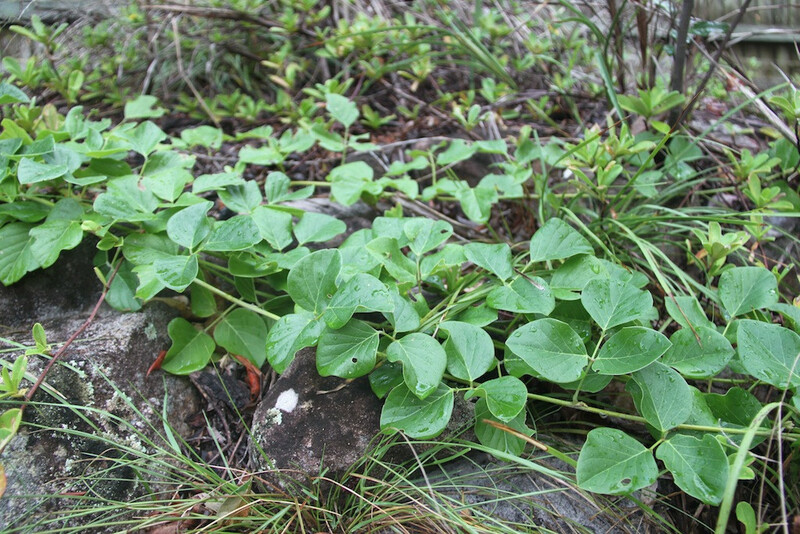 Canavalia rosea stabilises a slope on the frontline sand dunes next to the Marcus Creek Beach Access 45 path. 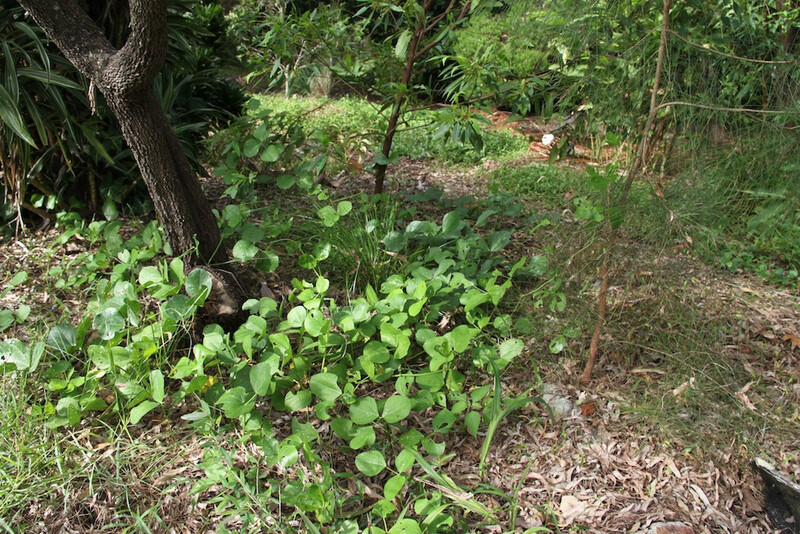 This article is part of our Gardening with natives series. This entry was posted in News by Judy. Bookmark the permalink.